Does Experience Really Matter in an Estate Planning Attorney? If you’ve come to terms with the fact that you need an estate plan and that you should hire an attorney to help you craft one, this is the first stage towards protecting your future and passing on your assets in a responsible and clear manner. Once you’ve made the decision, it’s tempting to hire the first attorney you can find, but it’s far more worthwhile to do a bit of digging to determine whether or not your lawyer has enough experience in the field. 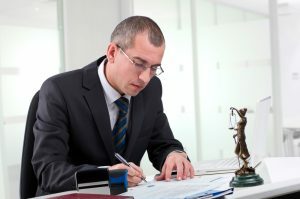 All lawyers have received a special education and passed the bar exam in order to practice within their state, but one of the things that can separate an attorney from the rest of the pack is his or her experience. Experience can be years in the field and it can also be how much of the firm’s and the attorney’s practice is dedicated to estate planning. This is because an attorney with experience will probably have handled situations like yours before and will also be up to date with all the relevant options and laws associated with estate planning. Especially in light of the fact that a new president has just taken office, it’s important to identify a lawyer and legal team who has knowledge of the landscape and can help you determine the best way to look ahead. An attorney that has some experience handling estate issues or does it every so often is not necessarily a bad choice, but the future of your estate is important and you can gain a lot of benefits from working directly with a lawyer who has significant background experience in this field as he or she is more likely to be familiar with the complex nature of estate planning and how the state and federal laws can evolve and impact your planning choices.